1978 Fisher 34 Mark II Rarely do you see this robust world cruiser on the market, but we are fortunate to have one to offer. Currently there are only two listed in the United States. Fisher yachts are regarded to be the finest of boats their type. Built for the rigors of the North Atlantic's demanding conditions & uncompromising lines give clear testimony to her ancestry. A rugged "Bluewater" pilot house ketch, rigged vessel, that can be safely and easily handled short handed. The engine/transmission has just been re-installed after a complete rebuild and runs like a Swiss watch. New propane tanks added in 2009. Radar replaced in 2000. She is ready for new adventurers! 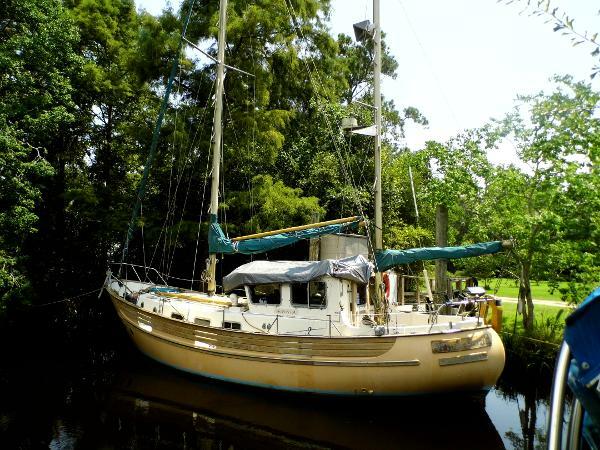 1978 Fisher 34 Rarely do you see this robust world cruiser on the market ,but we are fortunate to have one to offer. Currently there are only two listed on this continent . Fisher yachts are regarded to be the finest of there type afloat . Built for the rigors of North Atlantic demanding conditions , and her uncompromising lines give clear testimony to her ancestry. 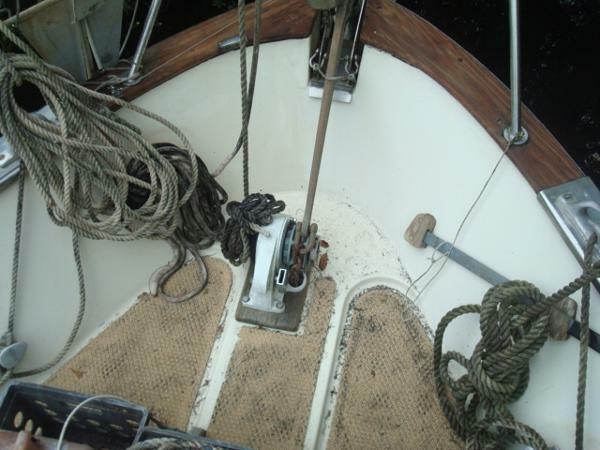 A rugged "bluewater" pilot house ketch rigged vessel , safely and easily handled short handed . The engine/trans has just been re-installed after a complete rebuild and runs like a Swiss watch. She is ready for new adventurers . 1978 Fisher 34 Rarely do you see this robust world cruiser on the market ,but we are fortunate to have one to offer. Currently there are only two listed on this continent . Fisher yachts are regarded to be the finest of there type afloat . Built for the rigors of North Atlantics demanding conditions , and her uncompromising lines give clear testimony to her ancestry. 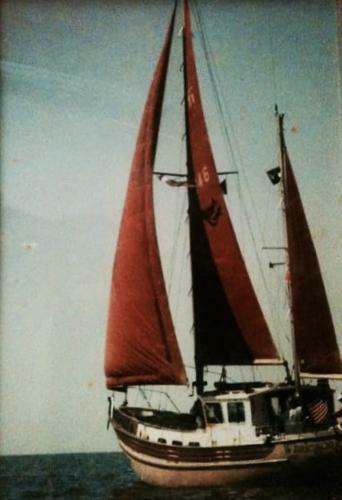 A rugged "bluewater" pilot house ketch rigged vessel , safely and easily handled short handed .